Fremont is a small, rural town located in Eastern North Carolina. The town was chartered in 1862. In 1901, North Carolina elected Fremont native Charles B. Aycock as Governor. Aycock's legacy was a strong public education system and earned him the reputation as "The Education Governor." The Charles B. Aycock Birthplace State Historic Site is located on the southern side of town and offers valuable lessons in farm life in Eastern North Carolina around 1900. In 1958, Bugs Barriger, a writer for the News & Observer, penned Fremont, "The Daffodil Town" in an article about Fremont's daffodil gardens. Several years later, the town began celebrating the arrival of spring and the blooming yellow flower by honoring it annually at "The Daffodil Festival." 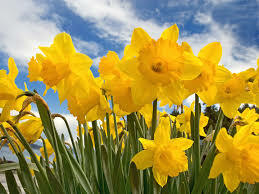 Come visit us in Fremont, "The Daffodil Town."